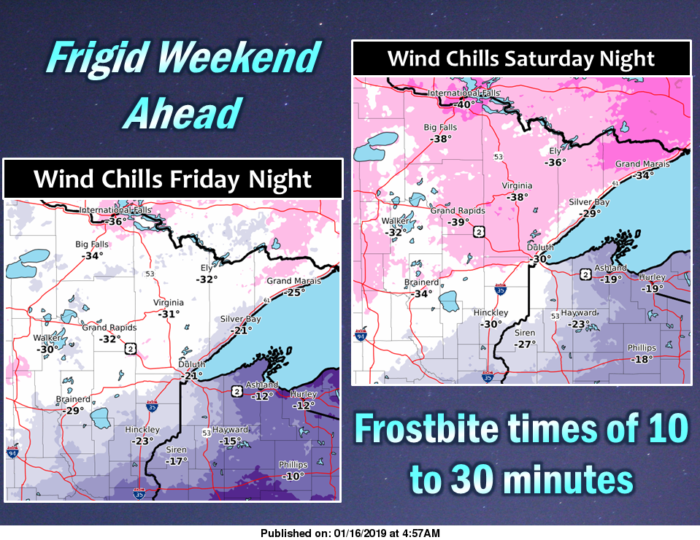 Dangerously cold air will move into parts of the Upper Midwest this weekend. Many spots in the Dakotas, Minnesota, and Wisconsin will see their coldest temperatures so far this winter. The Arctic air will begin to move in on Friday and stick around through Sunday. The coldest air will be in place Saturday night. 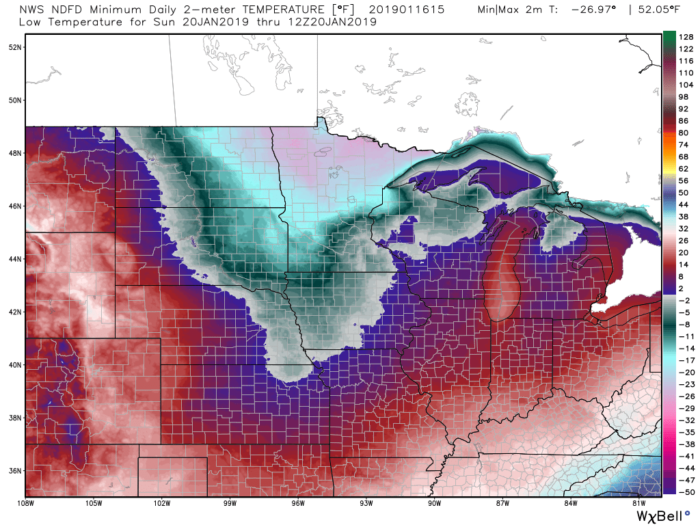 Many spots in northeastern North Dakota and northern Minnesota will experience temperatures in the 20s and even 30s below zero! Winds will also pick up on Saturday night and Sunday morning which will help contribute to wind chills approaching 40 below zero. These are very dangerous temperatures! The National Weather Service in Duluth, MN warns that frostbite will be possible in 10 to 30 minutes. 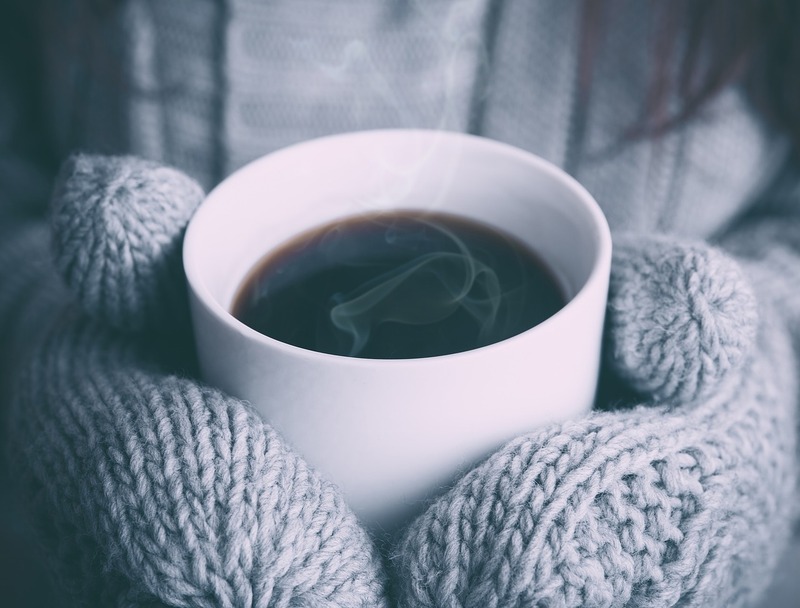 Because this winter has been relatively mild so far, it’s important to review a few cold weather tips. 1. Stay indoors if possible! 2. If traveling anywhere, make sure you have a winter survival kit in your car. 3. DO NOT LEAVE PETS OUTSIDE. 4. Wear layers of loose-fitting, lightweight, warm clothing and winter boots. 5. Cover all exposed skin: hat, mittens, scarf, etc.